I want to thank Maya @ Fire-Breathing Book Dragon for tagging me! She posts a lot of cool tags as well, so be sure to visit her side after the post to check them out! Thank the person that nominated you for this tag and link to their blog (spread the love, basically). Write as many things that are unique to you as possible: these can be things that you do, say, like or have that make you different to other people or let you stand out. It can be what defines you as a person, a little thing about you that is just simply you or something little known that you think makes you up as a person. 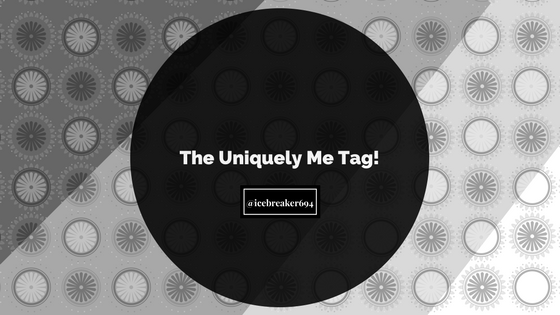 Nominate up to 10 bloggers or as many as you like; there isn’t a limit. You can take this tag as seriously or non-seriously as you like; you can laugh whilst doing it or feel contemplative: this is about you, after all. After you’ve written this and if you ever feel like there’s nothing to you but what other people have already said and done, look back to your post and remember that it isn’t true. Uh, I drink a lot of orange juice. Like A LOT. It’s the only thing I drink, besides Sprite or Cream Soda if I’m feeling it. But usually I drink orange juice morning, evening, and at night. Thanks for tagging me! This is gonna be a hard one, I can tell…it’ll be interesting. I also like history; truth can be stranger than fiction, yeah? And the buttons thing is really interesting too! I know, my dad is a major history buff. I’ve gotten so many zany history lessons, I’m tempted to think some is made up, though know it isn’t. The Victorian era is really interesting. Oh my gosh 😂 That’s great. I just tend to know random stuff. Helps with school though. Like, I mention weird coincidences in history and such. Nothing to that extreme though, haha. Haha, I just know random stuff too. My friends eventually weren’t scared of the sun thing anymore. 😂 But it’s cool that you can connect the coincidences! Thanks for the tag! And omg your backpack sounds awesome (I like collecting badges too!)! Aww, I’m really glad you liked Pride and Prejudice, I love it! !